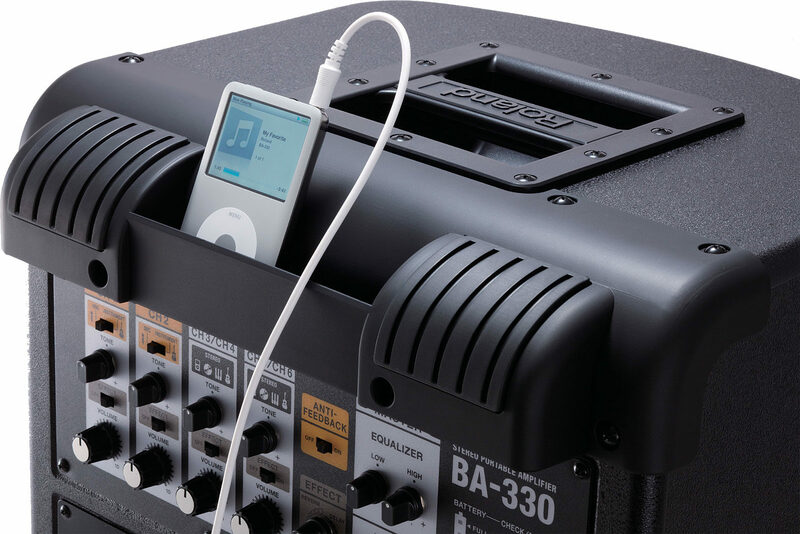 Whether battery powered or plugged in, the BA-330 delivers high-performance sound that defies its size. 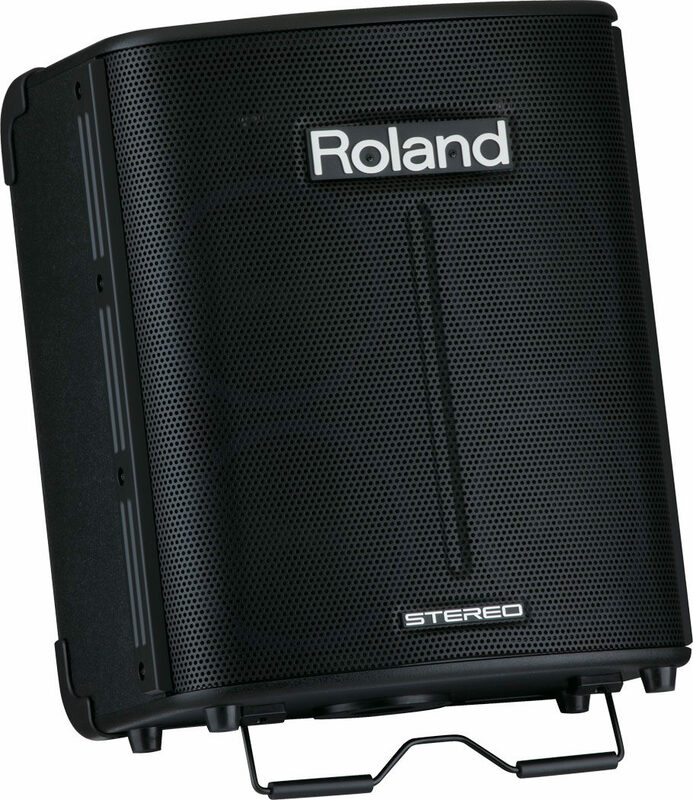 Its digital stereo amplifier drives four 6.5-inch stereo speakers and two tweeters, positioned for wide stereo projection. 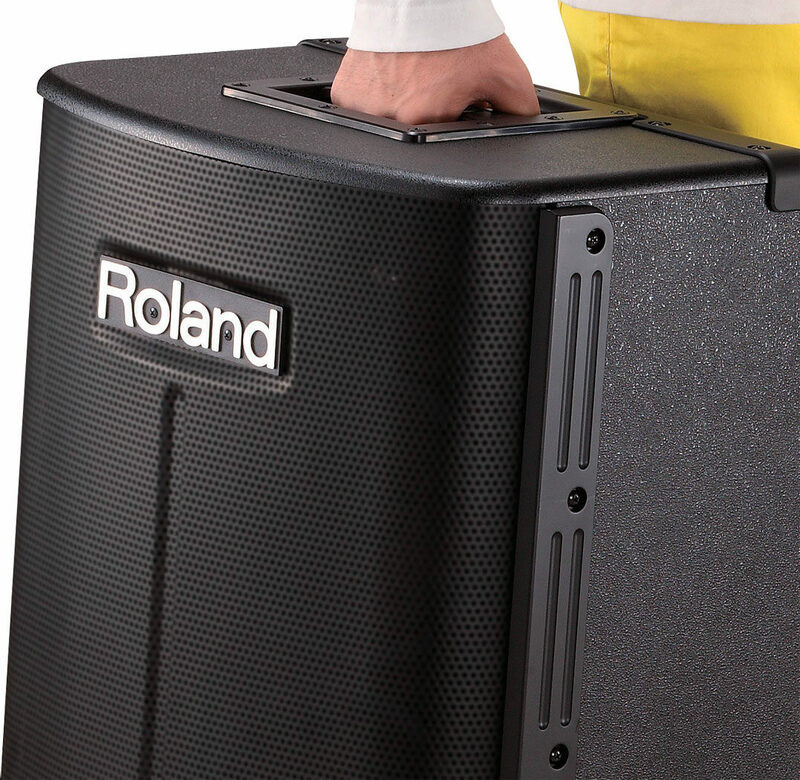 It's the ideal, all-in-one portable PA solution for small music venues, worship events, conferences, seminars, business meetings, and much more. - No setup required, just plug in and go! 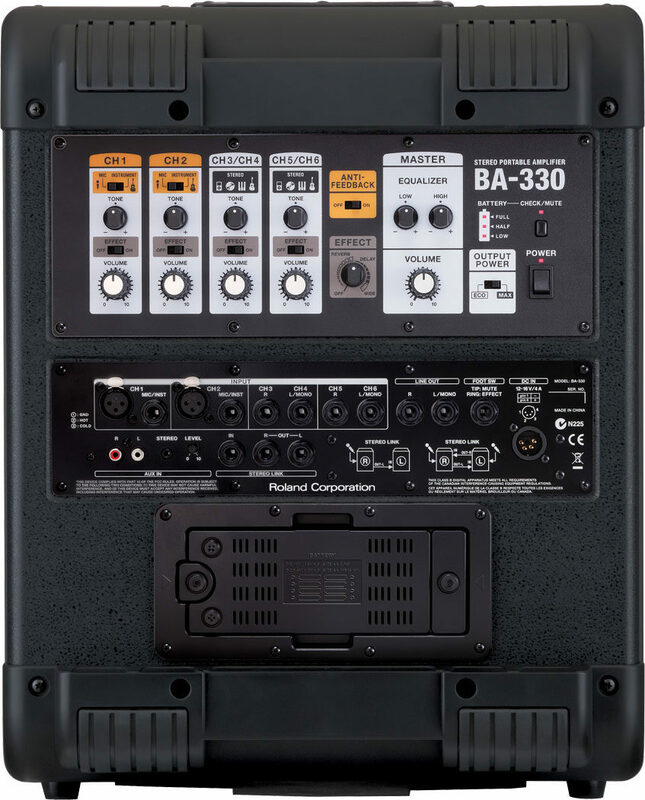 If you've ever encountered embarrassing feedback onstage, you'll be pleased to know that the BA-330 is equipped with Roland's advanced Anti-Feedback technology. With a simple switch, the BA-330 automatically detects the howling point and eliminates feedback. 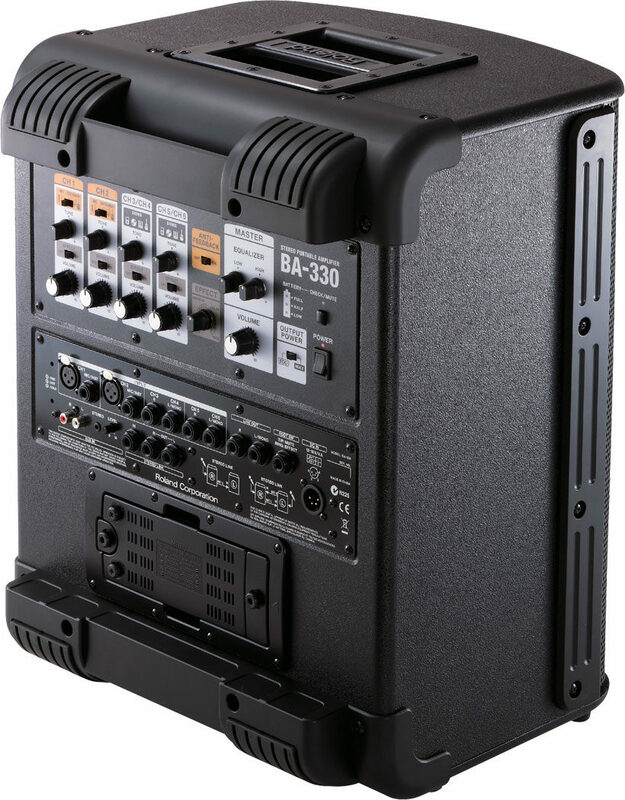 The BA-330's Stereo Link jack lets you cascade two units, giving you twice as many channels and the ability to position the two units on opposing sides of the stage. "The Company who cares about the consumer and makes Quality amps." Sound: This little amp is a supprise the sound is that of a amp 3 times the size for a show setting. I have now bought a secound so that i can spread the sound to stero and for larger shows this is a amp for just about any size show and a great reinforemate sytem. 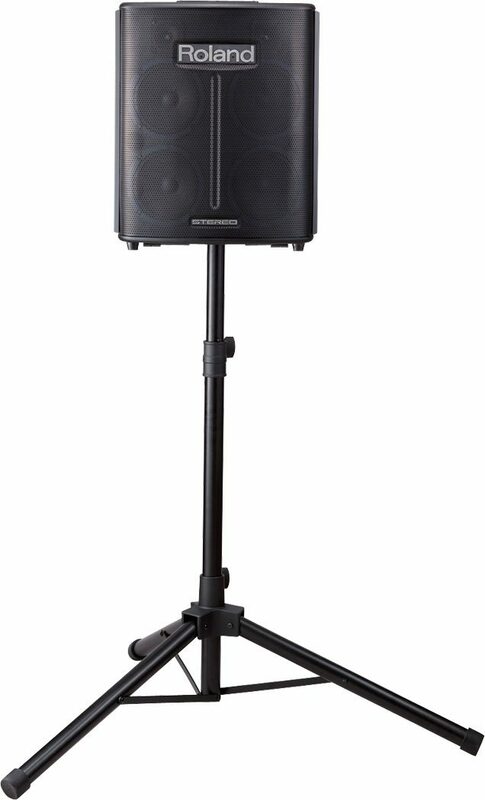 Feature: with 2 of these i will have more then i will need as far as inputs for everything are small 4 piece band need any club inside or out we can be heard with no problem. If we ever play Grand park down town i may need 2 or 4 more to cover the park but as for local shows inside or out this is a great system with just 2 cabs. Ease of Use: Plung and play what else can you say Quality: Built to last and a solid amp not to heavy just right for a 50 plus guitar player. Value: Worth twice as much if not more in my eyes the companys now dont seem o care about quaility ut roland and boss do. Manufacturer Support: Had one question about set up and Roland responded within 24 hours with good future advice and sold me on the second one with there answeres and knoledge. The Wow Factor: Nice black looks pro like and is a pro system. 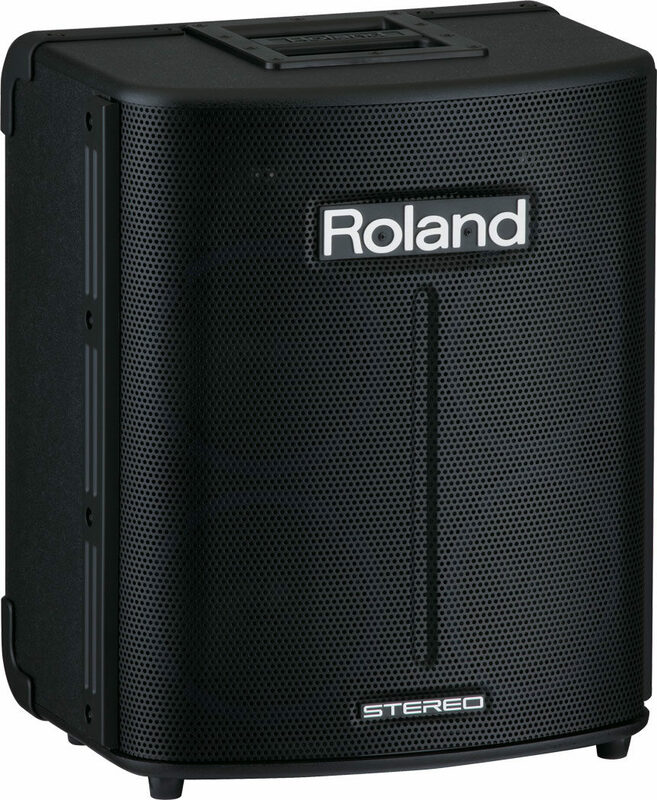 Overall: This is the pa system for anyone out there buy it and try it you will be happy you did thanks Roland for a great Pa Sytem. 24 of 25 people (96%) found this review helpful. Did you? 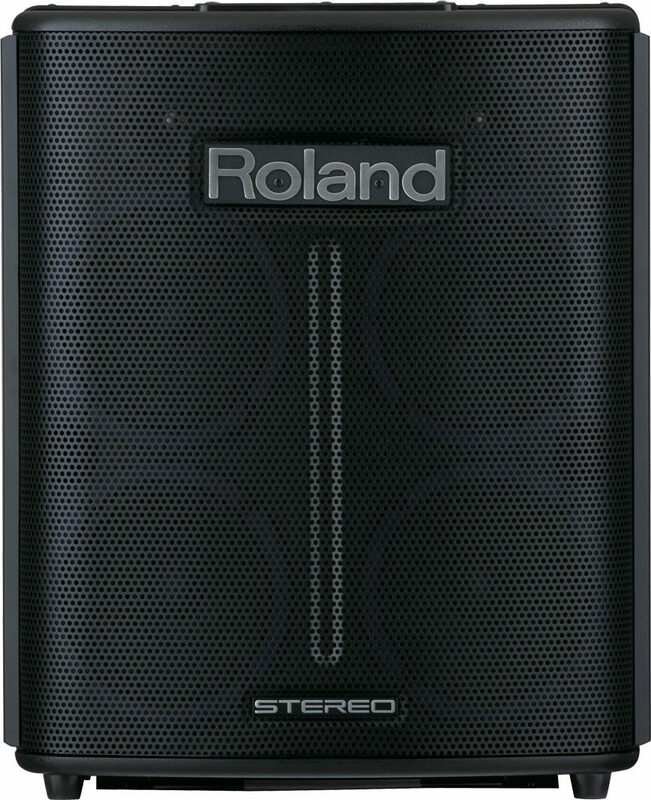 "BA-330 Gets the Job Done"
Overall: I use this amp solely for busking in conjunction with the Roland Cube Street 2. I run the backing tracks through the BA-330 and the instrument through the Cube Street. The BA-330 can get loud outside, but the bass thins the louder it gets-- but that's no surprise considering it uses (4) 6.5" woofers. 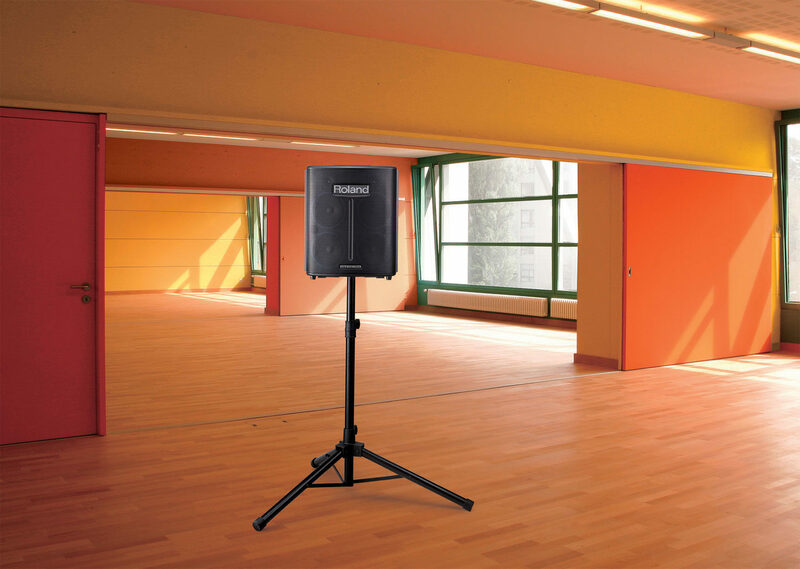 Indoors, the BA-330 is very loud and would be sufficient for a vocal/acoustic guitar gig. I've only used it once indoors with the volume knob at 3/10. I doubt it would be able to compete with drums or electric guitars. 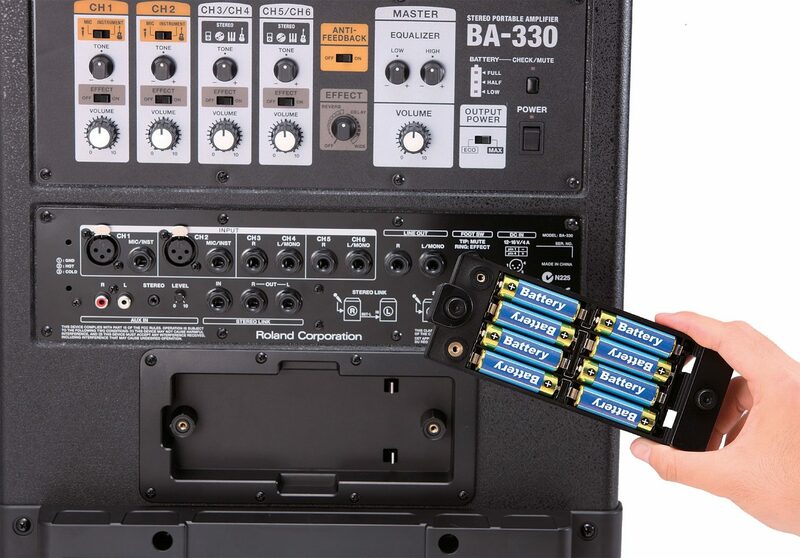 NOTE: Using the AA-batteries automatically makes the BA-330 use the "Eco-mode", which rolls off the bass substantially.